Home Movies Tamil Telugu Is Kattappa to be seen as Devil? Is Kattappa to be seen as Devil? Veteran super star of Kannada Sathya Raj is very popular after release of Baahubali. 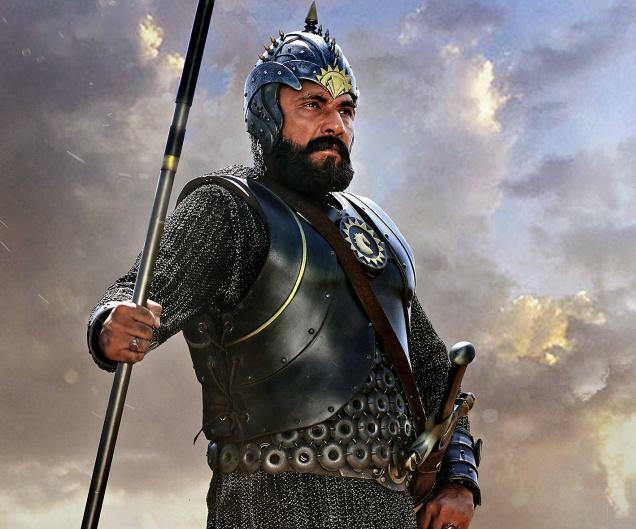 As we know, Sathyaraj was seen in a powerful role as Kattappa in Baahubali and this character gave more significance to him. He was seen in many Tamil and Telugu hit films in recent times and once gain he will be ready to enthrall audience with one more different role. In recent days, audiences are showing interest to watch horror thriller movies and these movies played very well at box office in both Tamil and Telugu languages. Producers and directors are also focusing on Horror comedy movies in recent times and dubbed movies are also paying well at box office. As per latest news, it was heard that, Tamil film “Jackson Durai” is going to be release in Telugu in a dubbed version as “Dora”. Jakkam Jawahar Babu is presenting this film under Celluloid banner. Sathya Raj son Sibiraj and Bindhu Madhavi is playing main roes in this film. As per latest updates, Kattappa who is none other than Sathya Raj is playing key role in this movie and he will be seen in a devil role. The movie will be a periodical horror thriller and Sathya Raj will be appeared as Dora and Devil characters. His role is main highlight for the film. Sathya raj has huge craze in Telugu also after did two successful Telugu movies like Mirchi and Baahubali. The movie will be released on January 1st, 2016 in Telugu. Let’s see how Kattappa will entertain as Devil.